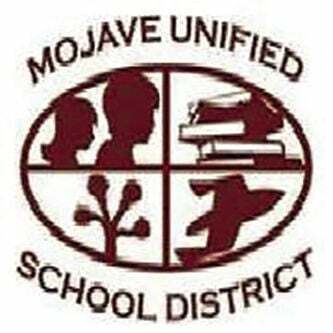 CALIFORNIA CITY — Taking advantage of low interest rates, the Mojave Unified School District Board of Trustees on Thursday unanimously agreed to refinance outstanding general obligation bonds at lower rates, which will in turn mean lower costs to the taxpayers. “Lower interest rates have made it so we can refinance at a lower rate than the bonds originally sold for,” Adam Bauer, CEO and President of Fieldman, Rolapp and Associates, told trustees during a presentation on the proposed refinancing. The district is divided into two separate areas for bond purposes, representing the two communities served by the district schools: Mojave and California City. This refinancing applies to bonds approved by voters and issued for the Mojave area. The bonds in question were first issued in 2009, with a final maturity date of August 2033. They may be bought back and resold at a lower interest rate by Aug. 1, Bauer said. Based on the lower interest rates, the district’s taxpayers may save an estimated $336,000 annually in today’s dollars, Bauer said. Parker questioned whether it would be more beneficial for the district to wait another six months, in the hopes that interest rates will be even lower at that time and the district could save more money. “I know that’s a crap shoot on whether, but given the political climate that’s going on right now and what the feds are doing, I think that six months later they may go down even more,” he said. Looking at the historical data, “we’re in a good position now,” Bauer said and he can not say whether or not the interests rate will be even more favorable later. “It’s like a bird in the hand,” Trustee Larry Adams said. With the Board’s approval, the district will receive its bond rating next week, and the entire process will close on May 30.